Our Activity Report gives you insight into each lead’s activity with your content and assigns an engagement score. Engagement tracking leads to more understanding of where readers are along the buyer’s journey and identifies potential advocates within your target accounts. Leverage this information as part of your account-based marketing efforts. You can reach out more quickly to the most engaged vs. adding them to a drip campaign. 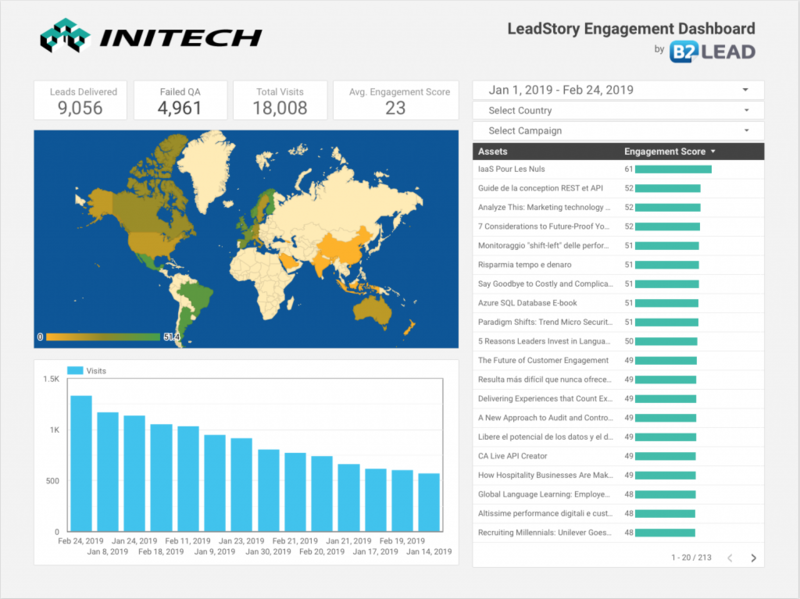 LeadStory’s Engagement Dashboard gives you a custom visualization of the performance of every piece of content and user engagement within the campaign. Your content is ranked by performance and given an Engagement Score. Understand reader distribution and interaction by geographic area. Access details for individual leads with links to their Activity Report. 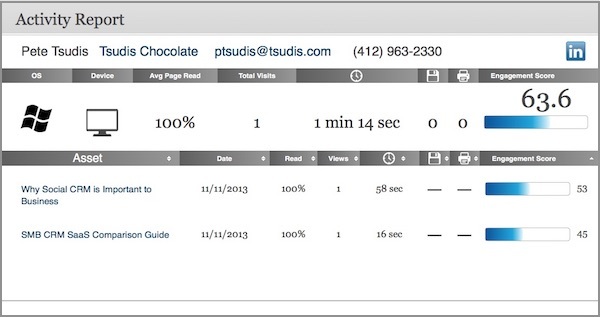 Compare content and campaigns for performance.